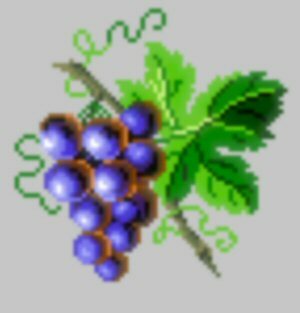 Counted handpainted design of a bunch of grapes, similar to an illustration from a herbal. 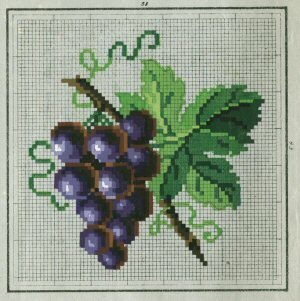 Intended for Berlin Woolwork, can also be used for cross-stitch, needlepoint, and beading. Includes modern re-charting and DMC color key.